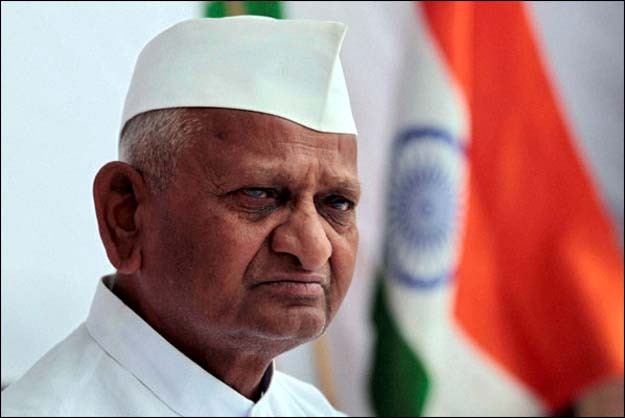 Is Anna Hazare really ready to back Modi? Washington, Aug 30 : A reported remark by Indian social activist Anna Hazare has led to speculation whether the apolitical leader is ready to endorse Gujarat Chief Minister Narendra Modi if he leaves the Bharatiya Janata Party. In an article in the Huffington Post Dr. Muqtedar Khan, an associate professor of Islam and global affairs at the University of Delaware, recalls the event at the Hindu Temple in Hockessin, Delaware, on Aug 20 where Hazare made the reported remark. "He was asked by a delegation in Hockessin to endorse Narendra Modi as the future Prime Minister of India, under whose leadership Muslims were massacred and their homes and businesses burnt in Gujarat in 2002," wrote Khan, who moderated the question and answer session at the meeting. "Anna Hazare did not endorse Narendra Modi," recalls Khan. "He said he did not believe in political parties and since Modi was a member of BJP, a political party, he could not endorse him." But "When pressed to endorse Modi as an individual, he responded by saying that if Modi left the BJP, he would be happy to endorse him,"
"For an ethical activist, it was a very political answer. Anna was trying to get out of endorsing Modi without offending Modi's supporters," wrote Khan. "But I suspect he offended the Hindu secularists by not condemning Modi and disappointed Hindu nationalists by not clearly endorsing him," he said. "I sympathize with his predicament. His goal is ethical his means political, things are bound to get muddy," Khan concluded. But Khan's article on the engagement at Delaware has stirred another controversy as he predicated the conversation about Hazare and Modi over the question: "Is Anna Hazare communal?" "He has a 50-year record of social service and social reform and zero instances of active communalism. His record speaks for him," noted Khan giving him a clean chit on that score. But "Does he have sympathies for communal parties and leaders in India?" he asked and felt "That is difficult to determine," . "Nevertheless, the evening was both spiritually uplifting and politically fascinating," wrote khan whose article was more focused on "Anna Hazare and the Campaign Against Corruption" rather than the Modi issue. "It underscored at once how India's future is at the same time bright because of leaders like Anna Hazare and in peril because of the challenges they are trying to confront."